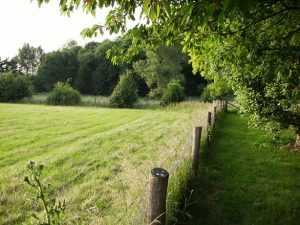 Land – To buy or not to buy? Land is an obsession in Ireland, perfectly characterised by the Bull McCabe in John B. Keane’s play ‘The Field’. The Bull’s sole focus in life was buying the field he rented from the widow woman, every single day was spent in preparation for the auction and buying the land. Preparation was not simply having the cash to purchase the land it also involved making sure the neighbours knew their place i.e. it was the Bulls land to buy and not to interfere by bidding at the auction and making it more expensive. Neighbours have been known to disagree and not to talk to each other for generations over sour land deals, farm families have been denied proper standards of living, local authorities and banks have felt the wrath of defiant land owners when they try and take land from Irish owners and days, weeks, months have been spend in court houses all over the country resolving bitter land disputes. Why have we such an obsession with land? Our history and 800 years of oppression is often cited as a root cause but is this really relevant in today’s world of well educated, tech savvy farmers? What is it that stirs the emotions of Irish farmers to the extent that all common sense is ignored in pursuit of owning that parcel of land, is it all worth it? Land is only traded every 400years In Ireland, so what triggers the sale of land? The first and most common reason to sell land is the ‘executor sale’, this is where the land owner has died and the land must be sold to distribute the proceeds of the estate to all to the beneficiaries. Such sales are often anticipated by neighbours as the bachelor farmer ceases farming and first, leases out his land and then when he passes on it is put up for public auction, the excitement starts here. The contents of a will or even the lack of a will makes for interesting conversation in such cases when locals speculate as to who inherited the land and whether they will they retain it or sell it. The second most common reason for selling land nowadays is marriage breakdown. It is just over 20 years since the divorce referendum was passed in Ireland and it has catapulted into one of the main reasons for land sale. You can often tell such sales from the newspaper adverts as there usually two auctioneers appointed to sell the land. Voluntary sales of land by farmers are most common when an outside farm is sold to buy a farm nearer home or the coveted land next door. Since the boom the tightening in lending rules by the main banks has made bridging finance almost impossible to obtain this is a significant obstacle in the sale of land today. Farmers simply do not like to sell land before they buy it as there are Capital Gains Tax (CGT) implications and also farmers do not want to show their hand or financial strength before purchasing a neighbouring farm. Voluntary sales of land were exciting during the Celtic tiger boom, small parcels of zoned land made some farmers cash millionaires overnight, perhaps this cycle is starting all over again with the current housing crisis. The final reason for land sale in Ireland is compulsory or forced sales. Again during the boom Compulsory Purchase Orders (CPO’s) were common where local authorities and semi state bodies purchased land for roads, gas, water, sewerage schemes etc. There are many differing attitudes to CPO’s, some land owners are glad to receive the compensation cheque but others resist to the death offering up their sacred land. The emotive area of bank repossessions has reared its ugly head in recent times due to the economic recession, forced repossessions of property by banks be it a private dwelling house, investment property, business or land is a highly charged emotive event. We have not seen too many land repossessions to date in Ireland but they do exist. Who buys the land offered for sale in Ireland today? Farmers of course buy the majority of land sold in the country today but the question is how they buy it when the profitability and scale of most farm businesses does not generate enough profit do so. Table 1 shows the Return on Investment (RoI) of paying €10,000 per acre including all costs for land. Clearly the beef and sheep enterprises are a non-runner as they lose money per acre when direct payments are excluded. Leasing out the land at €200/acre generates a RoI of 2%. However even the much vaulted dairy enterprise only generates an annual return on investment of less than 3% when profit per acre generated by the average dairy farmer in the Teagasc National Farm Survey is used to calculate the RoI. If one calculates the RoI after taking into account the capital investment cost of an extra cow, winter housing, slurry storage and milking parlour say another €3,500 per cow per acre, the RoI drops from 3% to 2.2% in the dairy enterprise, a poor return by any standard. A good rule of thumb for a return on any investment would be cost of borrowing plus a margin of 3%. Presently farmers are borrowing money around 3.5% interest therefore 6% to 7% would be a reasonable RoI to expect. If the dairy farmer in the example above wanted a RoI of 7% the value of the land €4,214 per acre! 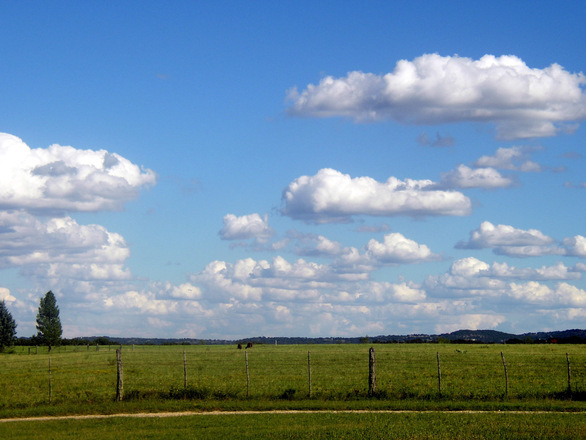 Land either farmed or leased out simply does not match up from a RoI view point. This begs the question why do people still buy land? The shortage of supply is one reason why Irish land continues to sell well above it RoI value, approximately 75,000acres are offered for sale each year, this would be the size of a large farm in Brazil or Australia. Supply and demand of land for sale is probably the only place where economic theory actually applies in the Irish land market, true Irish land it is in short supply but land buyers are not stupid either. Yes some top performing large dairy farmers have exceptional profit performance and are strong when it comes to justifying RoI on the purchase of land within grazing distance of the milking parlour. If you are lucky enough to have your land rezoned for development the RoI can be handsome and can facilitate the nirvana of actually going out and buying more land, another reason for the overinflated prices paid per acre. 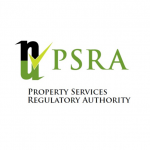 Getting planning permission for once off house sites for family or for sale is another vehicle to extract good returns from land but these are just the minority when it comes to the psychology of buying land in Ireland.